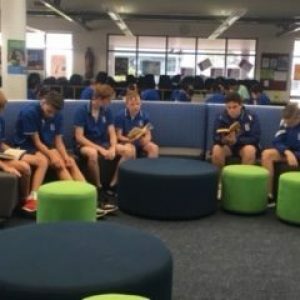 This morning the Edmund Rice Learning Centre is abuzz with activity. 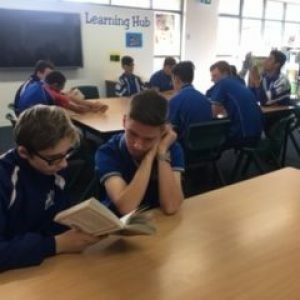 Ms Torpy’s Year 8 English class and Ms Reid’s Year 10 Religion class are sharing Goodnight Mr Tom by Michelle Magorian in a paired reading experience. 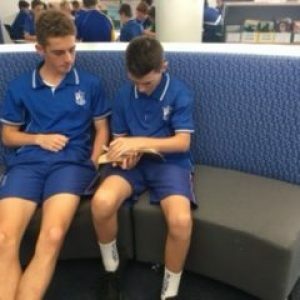 In pairs, students share the reading of the text, with Year 10 using a variety of questioning techniques to assist Year 8 with their understanding of the novel. 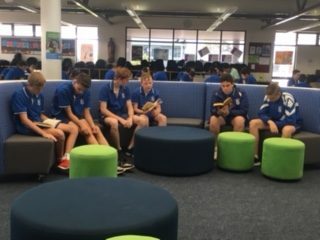 Thomas (Yr 8) said ‘Working with Blake is good because I’m not a very good reader and his questions are helping me understand the story.’. Blake conveyed that he enjoyed working with the younger students and it gave him a new perspective about learning. 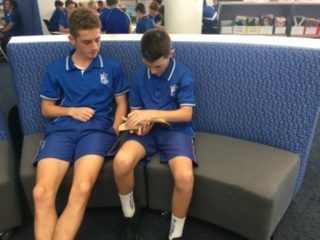 Bowen (Yr 8) said Alexi is helping me learn new words. Kody (Yr 8), ‘Cooper is teaching me new words and pronunciations. I didn’t realise how much you can learn by reading out loud’. 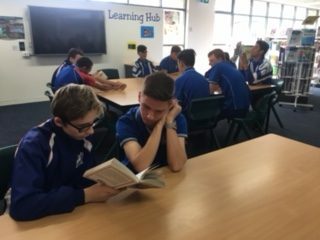 Zak (Yr 10) says that he learnt a lot about Jake and different approaches to understanding texts, which will help him in his learning in the future.